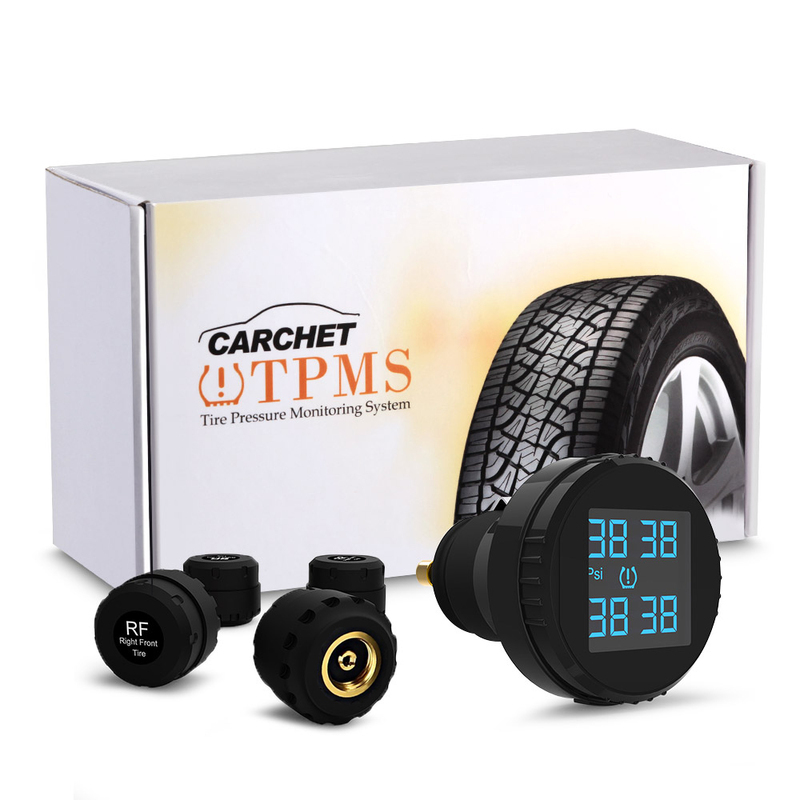 The sensor monitors tire temperature (Celsius) and pressure (0~116psi). 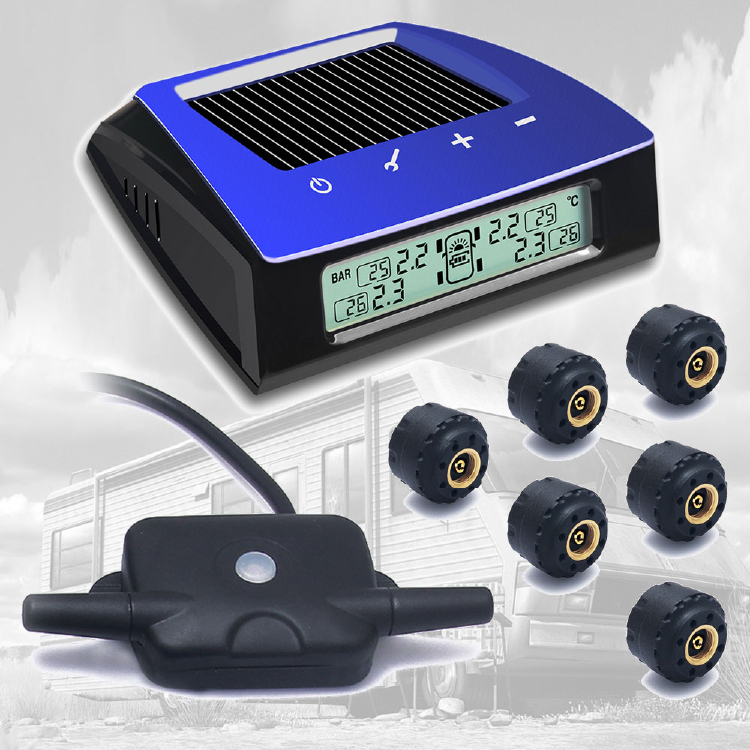 Sensor signal covers 26 ft, SUITS MOST CARS BUT NOT FOR RV, TRAILER, TRUCK, MOTORHOME etc. WITH LONGER BODY. 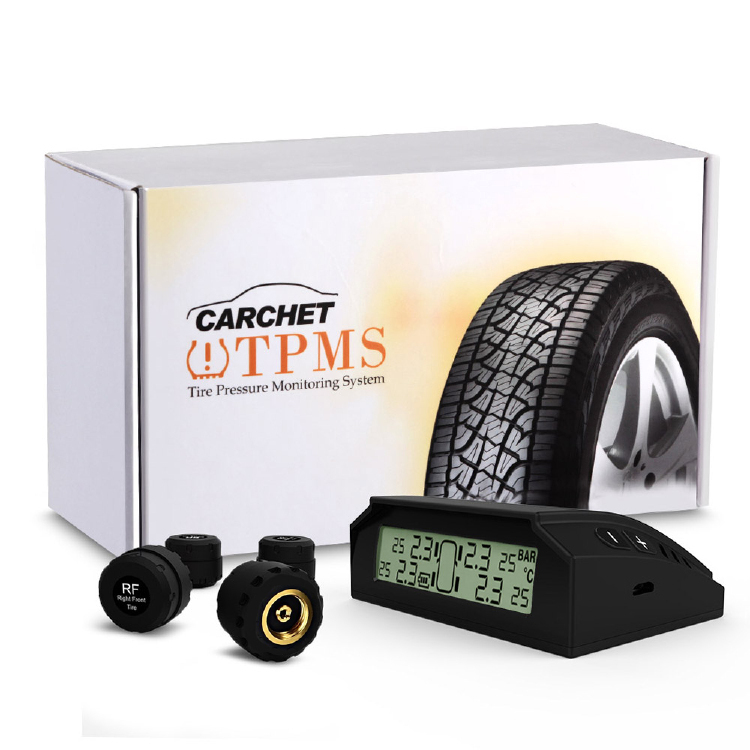 Search B01H3KPZSQ if you are looking for TPMS with signal repeater for long vehicles. 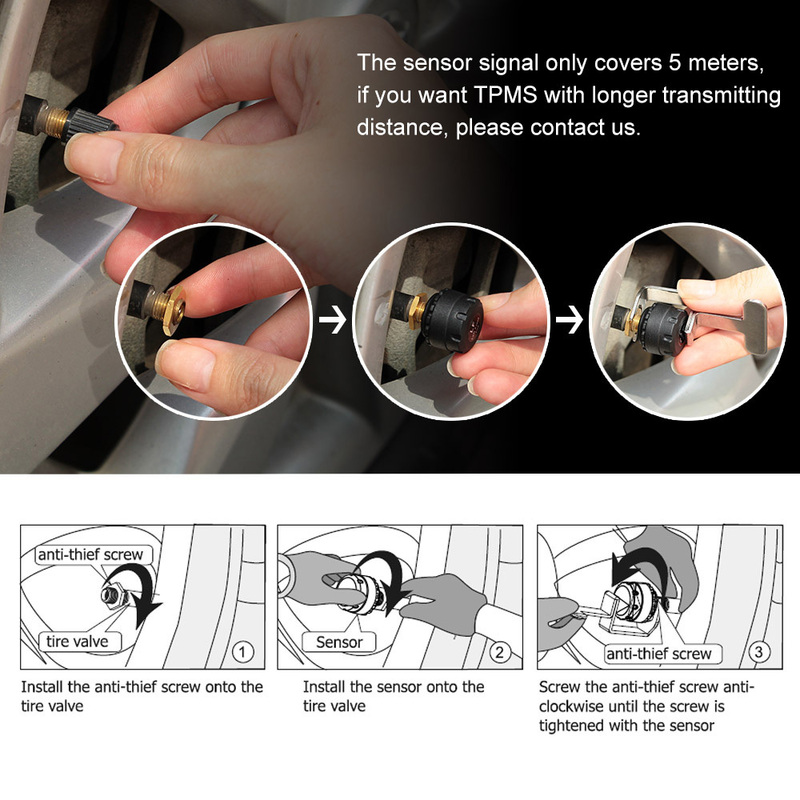 It has 4 external sensors which are easy to be mounted and replaced (search B01G8LXS26 if you need a replacement sensor). Also the batteries can be easily replaced (one CR1632 battery for each sensor). 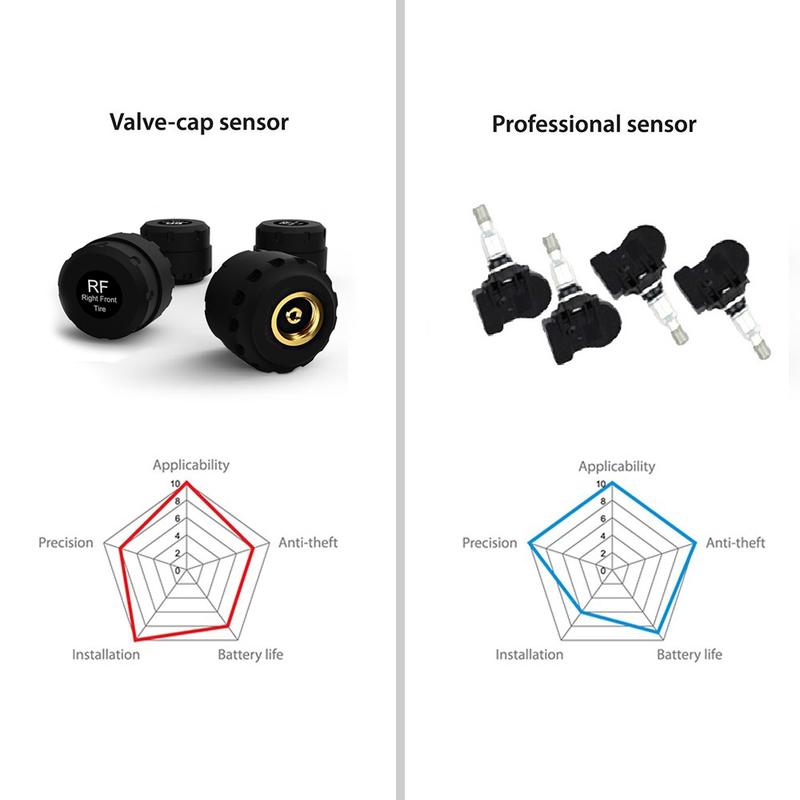 Compared to internal sensors, they cost less money and effort. You can DIY and never need to pay extra money for professional replacement. 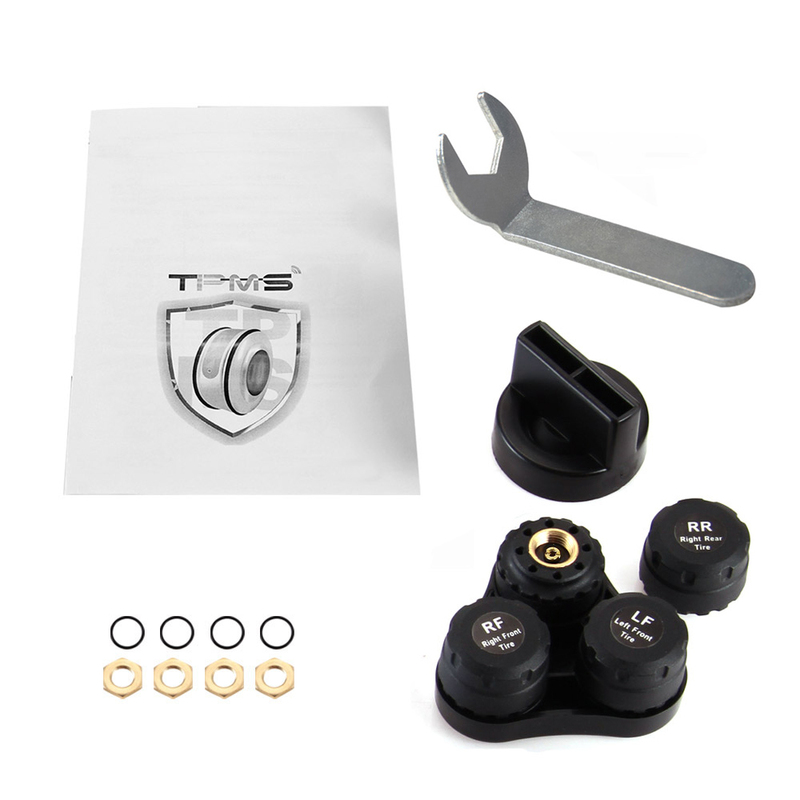 No risk to destroy your tire, just plug and play. 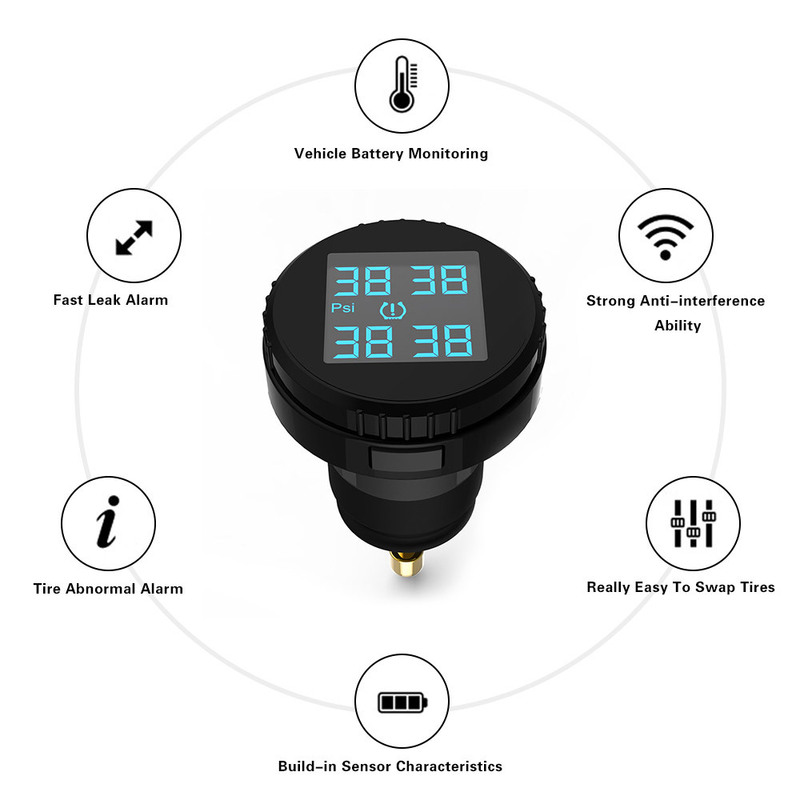 The sensor is coded to monitor and has an anti-theft design. 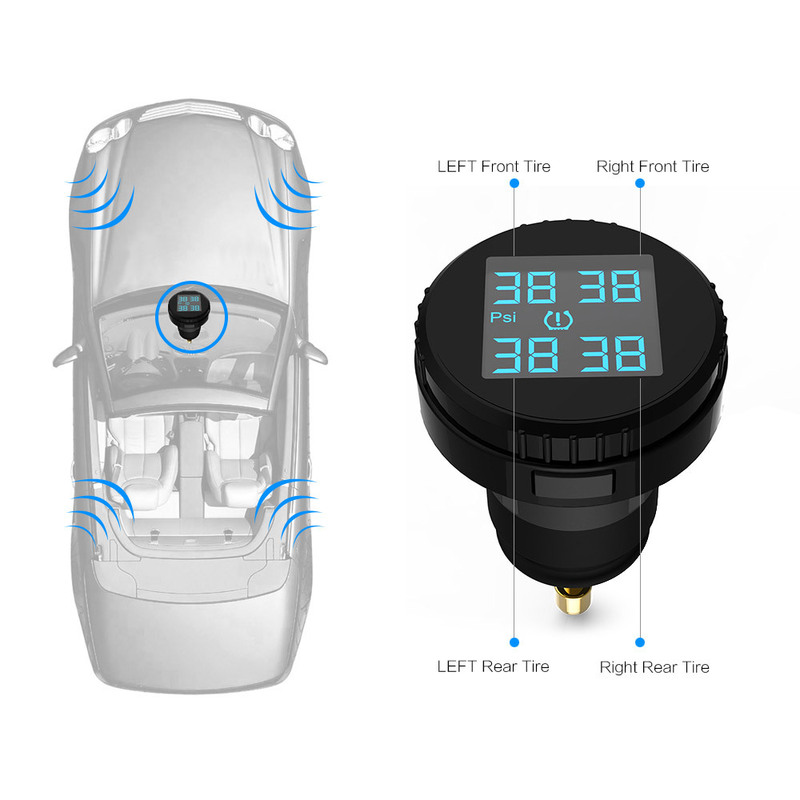 Each sensor is controlled by individual chip and will automatically shut down to save battery when the tire stopped running for 10 minutes. 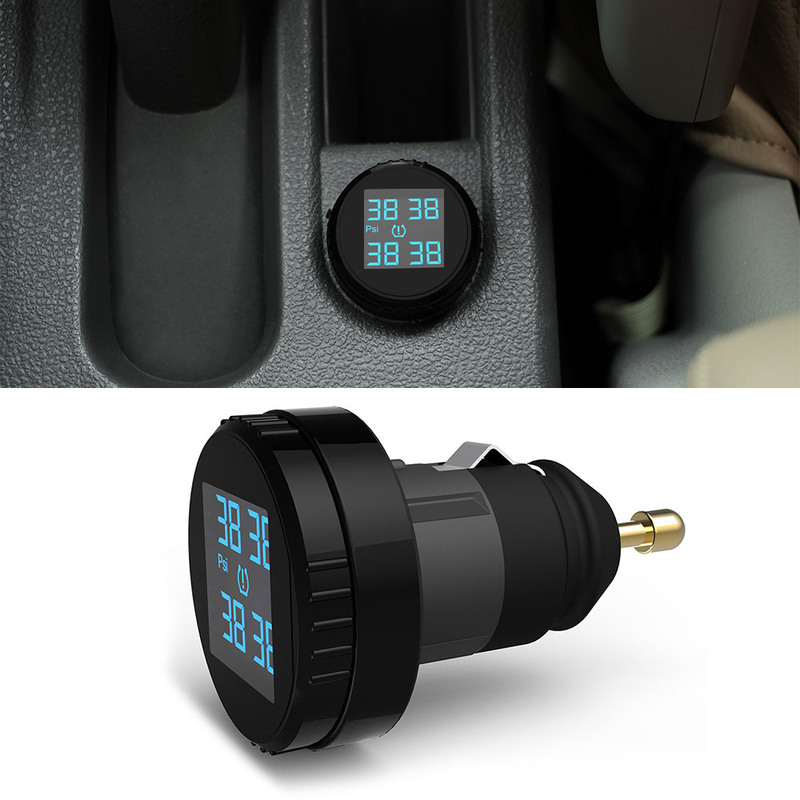 When you drive the car to 20km/h, the sensor will wake up and update data. Monitor supports visual and audio alarms. 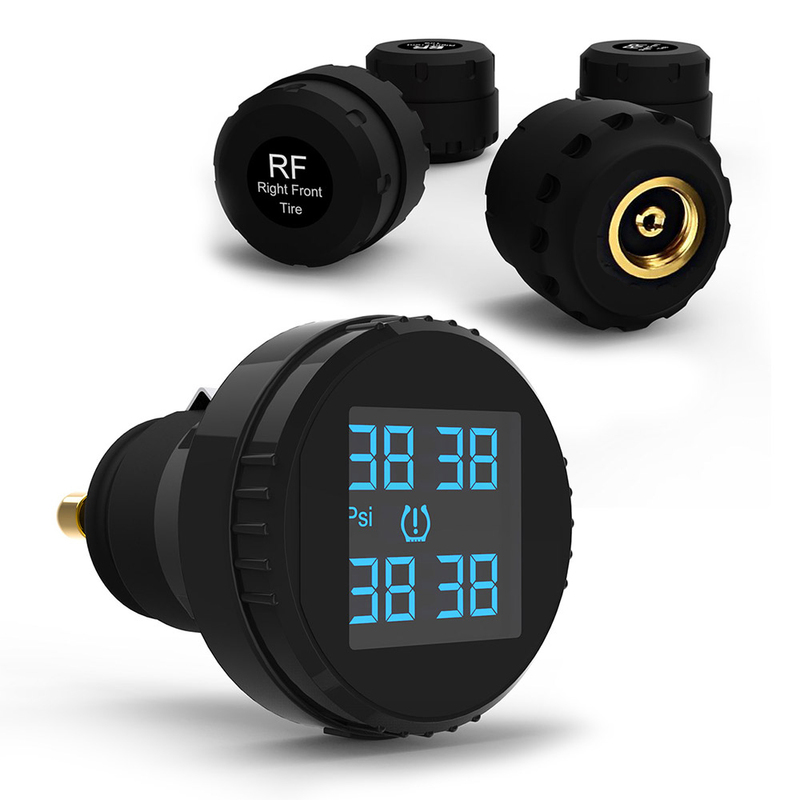 The default alarm value is 29-44 PSI and can be customized. 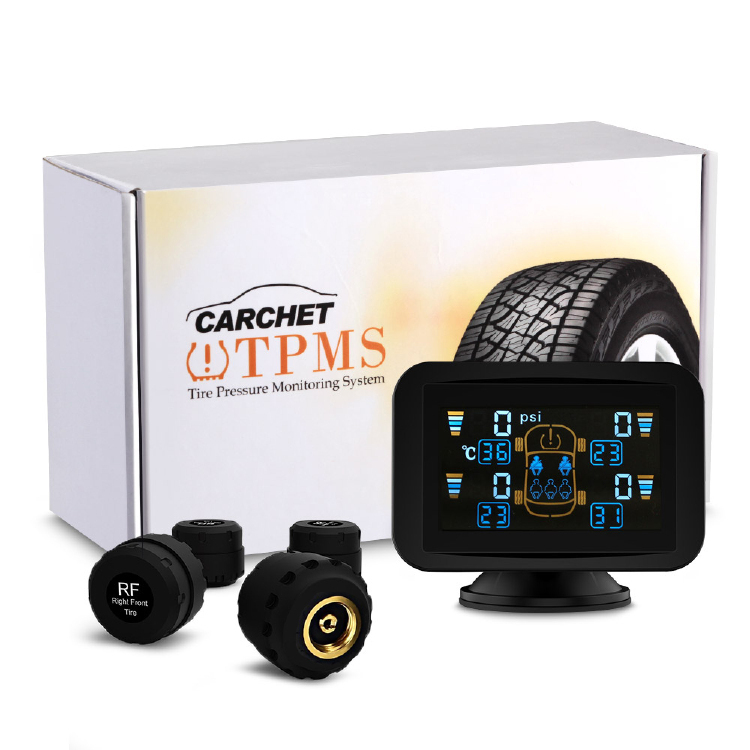 So you need a CARCHET TPMS(Tire Pressure Monitoring System)to monitor tire dynamic pressure, warn early of abnormal tire pressure, improve fuel efficiency, increase tire life and traffic safety.